Next ›How Much Do I Love You? Beautiful!! We in the end are only for ourself!! True! Come meet your best friend in Frank’s “A Friend For Life”. Some thousands and thousands of years ago Rig Veda has announced this wonderful hymn which is echoed so simply in your poem and which we have achieved in our lives sharing with the rest of mankind. This poem no doubt represents the philosophy of Upanishads. “Sing to your Agni (Fire god) with each song, at every sacrifice, for strength. Nicely written to communicate sadness then hope. I love this. This is so relatable and absolutely empowering. I always thought “I just need me” but never in such a fulfilling and promising way. Thank you for this post. These simple words are all that some people need to read. 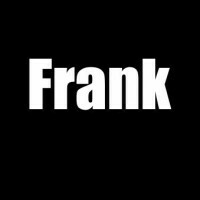 You have a whole world too Frank. Keep in writing! We are never alone when, within our self, we have a home. A great poem! Thank you for sharing! These sentiments are true insofar as we must like ourselves before we can be liked by others. But I think it is how we interact with the world that most affects our appreciation of ourselves. Self confidence boosted to infinity 😂 you write amazingly well! Hi can we follow each other? Would I become a hero? I really like this poem and there were many times in my life when I would have thought that you were writing about me. However, I have come to believe, and I agree with tmezpoetry in this, that we were born to be relational. Sharing our life is an additional dimension to living it. Thanks for liking my post “cue”. It made me smile for a lil while. Thank you again. Sometimes I’m jealous how simple your poems can be. I love it. I wish I could buy this… I mean I like the poem but I never feel like I am all I need. And I don’t think thats wrong or that you’re wrong by any means. I just think we are relational people needing each other. I could not have said it better myself as they are my sentiments exactly. Great poem from one loner to another. Beautiful. I have no god. Never had a wife. I do have a child but with a truly bad person who uses them as a weapon. I am all i have. Sometimes i dont even want that. Its a struggle to not end life. But knowing that i have me. No matter how messed up i am due to this person. Makes me glad I’m still here. Thank you Frank for always posting inspiration. I have lived being other people’s “cheerleader” and had put my own needs and wants on pause; your poem today has touched my inner spirit and made me remember that “I am all I’ve got” especially when I’m hermit-ting. Thank you for writing today. And you are all you need! Bravo!